I can understand how the NLP Meta Model was coined from reading Fritz Pearls Gestalt Therapy Verbatim and how Uncle Fritz way of coaxing people to be in the present and his insistence in process and the Here and Now is a priority in Gestalt. This has roots in Zen, Spirituality and where possible the abandonment of Maya or the thought induced coma-vale which separates people from direct experience. This is a post sharing Fritz’ method in dealing with Guilt and resolving it and completing a Gestalt. I am sure this really won’t work for everyone as you yourself have to define, or at least work out what Guilt means to you. Guilt is just a word which can have many meanings. Though I am quite sure that certain emotional affects including Guilt can be very satisfactorily dealt with using this method. In reference to what Guilt is for you, I want to draw your attention to those almost lovable pictures people put on social media of their dogs who have without their owners presence eat the sofa or a bag of Winalott. They acted out of their nature and only afterwards felt the dogma or ideology of an owner. Bad dog. This is what many, who I can regard as enlightened and specifically Nietzsche and Krishnamurti, will say there is not good or evil, there is just choicelessness when you act from and out of your spontaneity. With that said, lets deal with Guilt resolution by way of Gestalt and Fritz. I want to preface this process for resolving Guilt by way of a short usage of the Hindu five cosha’s ( sheathes ) that construct reality. This is all to do with duality, complementary and the integration and acceptance of opposites. 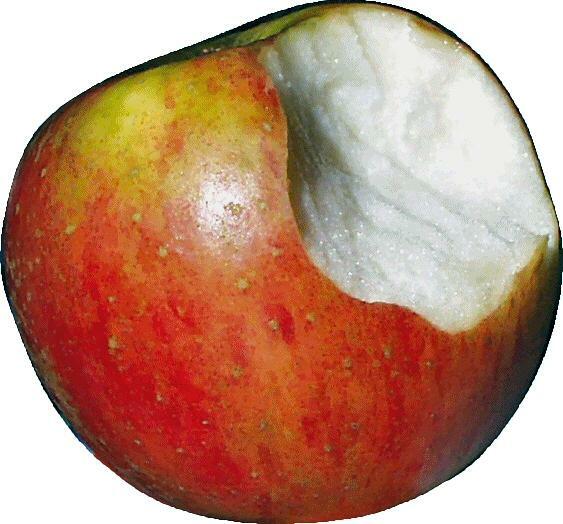 Food sheath, basically the organic body. Breath sheath, life force and cooks the food we eat. Mind sheath, all the mental stuff, good and bad. Wisdom body, very deep intelligence, cells etc. There is a big, large, disconnect between the mental sheath of judging and making a specific meaning and the wisdom body, that aspect that brought you into being. The wisdom body holds all opposites, all at once but the mental sheath deals with pairs of opposites, good-bad, right-wrong and friend or foe, that kind of stuff. Now, getting back to Gestalt and working through Guilt. Pearls says that Guilt in terms of Gestalt is actually about Resentment. Again, remember for me this does not have to be about Guilt, this can be abut anger, hostility, loss and … well put in your own, you defined emotion. Rules, yours and others and the seeming transgressions. OK, So according to Fritz, Guilt is about resentment. Find your guilt and find out who you are resenting and for what. In this exploration ( stay with it ) and resentment is about your demands or you could say rules that are imposed. Find the demands that you were tacitly, and now consciously making. Once you have these, there may be many, the idea now is to state them in the imperative and that means the command! In Gestalt this is taking to the empty chair, where you imagine that other half of an argument is there, right in from of you in the here and now. This will be something like, “Stop, Do it, Talk to me, Put it there” – Imperative / Command. Now this next step is what really does it for me in a good way. The sublimation or integration of the pairs of opposites. Return to the resentments and Appreciate those very same bits and bod. Yes, appreciate them fully and completely. And go even more forward and tell that imagined person ( you ) what else you appreciate about them. This may or may not be covered in the March 2019 NLP Master Practitioner training in Newcastle. There are linguistic refinements to be added and the language really has nothing to much to interfere with this awesome process of completing a gestalt so you can let go of the past and move more fully into the present. Acknowledge Guilt and Define it. State your rules and demands. Express your demands as commands! This, as a process, helps to move you more towards the wisdom body as mentioned in the five sheaths earlier. Moving away from the duality of thinking and towards a deeper wisdom that is your birth-right. Perhaps even towards bliss. But one step at a time. Or not! Therapists, Counsellors, Hypnotherapists and all Professional Change Workers seem to me to require additional, unusual and precise methods. Having some structural and specialist methods to assist clients in creating the states that can honestly foster true and meaningful change in their life is important. Why? Many change professionals become overly familiar with one or two techniques which will create positive changes for a high proportion of clients. When these methods fail more often than not the therapist becomes stuck and this is highly avoidable by adding some special strings to your bow. And this workshop is not for everyone. Some counsellors, NLP’s and therapists will find this kind of safe, structural and humour based approach immoral, disrespectful or dangerous. And for those people they are dead right. For the more creative, smart and open to experience a powerful change tool this may be the bow string you can rely on when the shot is a tricky one. Come and learn and experience 1:1 how Phil Jeremiah IV creates the states of change others can’t. Humour in Therapy and Coaching is a two day workshop where you will get the inside structure of how Phil goes about his change work. 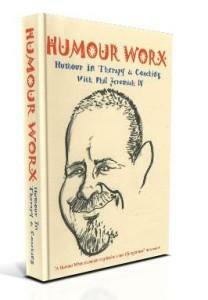 Costs £199 including a free copy of Humour In Therapy & Coaching 6 DVD set. NLP Training in Newcastle has a particularly complementary asset. It is called Humour In Therapy and Coaching. As a change worker or NLP Practitioner working here in the North East or elsewhere you will certainly have had clients where you scratched your head and wondered what you could do differently so you could be of more assistance quicker. As a change professional, Newcastle NLP practitioner Newcastle hypnotherapy counsellor or coach you will have what is often called a toolbox. Your toolbox will likely be a set of techniques or processes you have acquired from a wide variety of professional fields like Newcastle nlp, counselling, solution orientated change work or hypnotherapy In Newcastle this April there is the opportunity to add another tool to update and expand your box. Humour In Therapy and Coaching could be considered just another very neat addition to your professional change work took kit. You may just find that Humour In Therapy and Coaching becomes one of your crown jewels in your change work array of structured processes you can use to help unstick stuck clients. Phil will facilitate a co-created experience and over two days give you a firm and well established foundation of the the structure of his work with two days of experiential training. Phill Jeremiah’s works using humour in change work and therapy is client centred often irrelevant and a seriously humorous way of working. This approach helps even the most stuck clients make positive and beneficial change. A ‘Bubble’ session has the gentle power to help shift clients from problem states to resource states and create lasting and powerful change. In the ‘Bubble of Possibility’ anything and everything is possible … from 20 years plus experience in using his humour based approach he is a jewel among change professionals. Phil has been providing training in the UK and Europe for over 20 years to a wide range of professionals and organisations and has worked in the field of personal development for even longer. He was a qualified Senior Mental Health Social Worker, approved under the Mental Health Act 1983. Phil has extensive training and a wealth of experience in the fields of adult psychiatry, psychotherapy, counselling, hypnosis, brief therapy, NLP, EFT, EMDR, Life coaching and clinical risk assessment in mental health. Newcastle NLP Training Newcastle hypnotherapy training compatible. Today and now we are all living in the most interesting of times. Not least because the world, our economy and our life are often perceived as spinning into places of uncertainty and worry. No matter how you interpret this quote we can know that there exists both serious challenges and serious opportunities ahead of us. My question to you is … are you ready to make seriously positive changes in your life and well-being? Now is the perfect time to enrich who you are and learn to run your own mind and well-being with NLP Practitioner training. Eighteen days over six months beginning in January 2012. This training is experiential and you learn through doing followed by deep reflection. This Newcastle NLP Practitioner training is the very likely the best value in the UK. 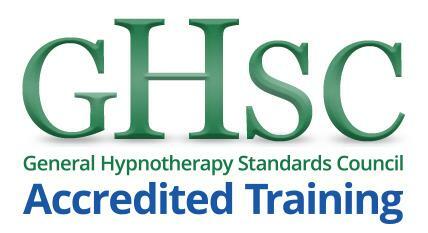 Only £595 with just 13 places currently available on this January Training. Sometimes it can feel as if of joy is being is excessively taxed by external events and situations that we can’t control. It can seem like our peace of mind and quality of life are largely dependent on external forces. Sometimes it can feel like we have lost the scent of our trail, the trail that can be described as our bliss. When fear, loss and worry are your instructors then it may be time to change class and explore ways in which you can be much more able and empowered to take back the innate sense of well-being that is our natural birthright. Get back on track again and live a more meaningful and purposeful life? Learn to run your own mind and brain in better ways? Have the tools and skills that promote well-being? Be more able to generate highly resourceful states? 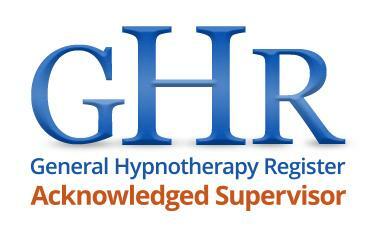 Learn hypnosis and hypnotic communication? Your brain is ‘like‘ a computer, it is not a computer, it is like a computer. The brain is the most complex process we know and it comes without a users manual. NLP Practitioner training is one way you can ‘use your brain for a change and keep the change‘. You Might Be asking Which Kind Of People Get The Most From This Training? Being willing to explore, experiment and have fun in learning. To temporarily put aside past concepts and limiting beliefs. Participate fully in the exercises and support a positive learning environment. your attitude … bring it! Since 2005 Nigel Hetherington has been facilitating NLP and Hypnotherapy training. 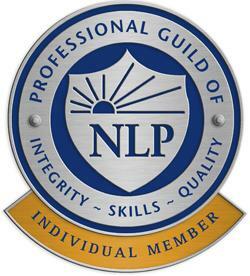 Nigel, lead facilitator is an approved NLP Trainer via John Grinder ( NLP Co-Creator ), The Professional Guild of NLP and The Society of NLP ( Dr. Christina Hall ). However credentials and certificates are not what this training is about. His style is supportive, humorous and provocative. This is about an experience that can change how your think and lead to a deeper and more meaningful life. Want to know more about Nigel? 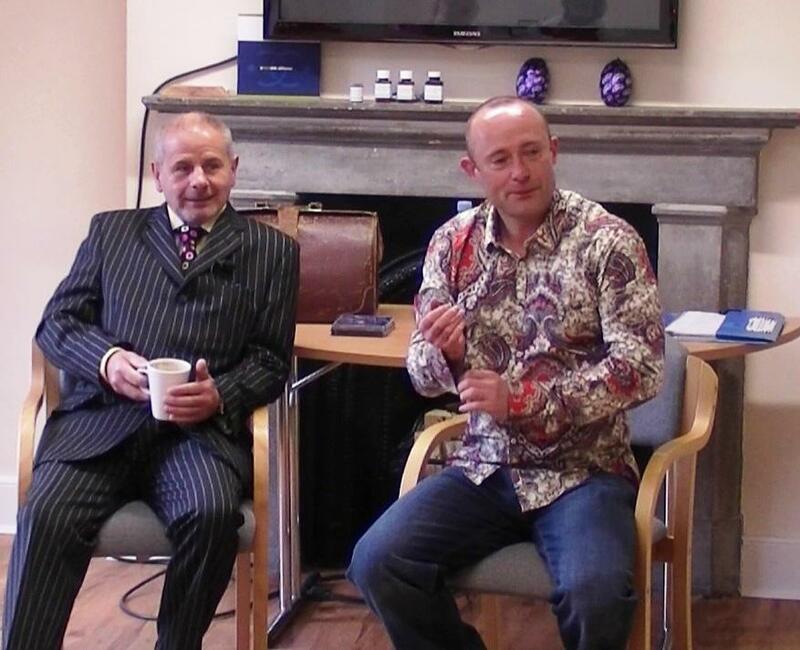 Check out over 100 NLP and Hypnosis videos from Nigel on YouTube here. A £150 deposit secures you place for the January-June NLP Training. Currently just 13 10 places currently available. This training is hands on, interactive and fun. You’ll leave with new skills and understandings that will serve you well in all aspects of your life. Looking forward to seeing you in January 2012. When we remember even just one of the times when we have quite literally cried laughing, we remember something else too! We remember that honest laughter more then makes us feel very good, we remember laughter can be one of the greatest and most powerful of healers. This comprehensive six DVD set “Humour In Therapy & Coaching” is an absolute gold mine for any of us serious about using humour in our therapy and coaching practices. As well as a powerful, safe and fresh approach, this DVD set is an extremely thought provoking recording from a fantastic two day workshop. “Phil provides training, motivational speaking and support to organisations in the use of humour. Laughter in the workplace is proven to reduce symptoms of stress and can promote good team working in a fun way with groups or individuals. This two day workshop offers us the opportunity to experiment with, understand why and how, and develop confidence in using humour in coaching or therapy. With 20 years plus experience in using a humour based approach, maybe you are ready to come on this exciting journey into the Bubble Of Possibility … So … What is the Bubble Of Possibility? The 6 disc DVD from Phil Jeremiah will guide you through a full weekend’s workshop so you get the skills, techniques, processes and a structure to using Humour In Therapy & Coaching as an integral part inside your client and coaching practice. Buy this comprehensive DVD of a full two day workshop with Phil right now. Phil Jerimiah has been providing training in the UK and Europe for over 20 years to a wide range of professionals and organisations and has worked in the field of personal development for even longer. He was a qualified Senior Mental Health Social Worker, approved under the Mental Health Act 1983. Phil has extensive training and a wealth of experience in the fields of adult psychiatry, psychotherapy, counselling, hypnosis, brief therapy, NLP, EFT, EMDR, Life coaching and clinical risk assessment in mental health. So, here it is a DVD of a Humour Worx weekend. This is specifically for therapists, coaches, change workers and anyone interested in adding and incorporating a real dimension into how you work with clients. Buy this 6 DVD set covering the entire weekends training with an extra complementary CD audio ( mp3 ) of the entire weekend right away. This is costing you £99. And that is nowt ( newcastilism ) to be demonstrate and actualise and integrate the process again and again. Buy this now and you get the full weekend’s seminar of training that you can watch and learn again and again. Plus a bonus mp3 audio from the DVD. A two day workshop in using Humour in Change Work : April 9-10 : £99.0 : Newcastle upon Tyne with Phil Jeremiah. Phill Jeremiah’s work using humour in therapy is a seriously humorous, often irrelevant and completely client centred way of working. This approach helps even the most stuck clients make beneficial changes. A ‘Bubble’ session has the gentle power to help shift clients from problem states to resource states and create lasting and powerful change. In the ‘Bubble of Possibility’ anything and everything is possible … With 20 years plus experience in using a humour based approach, maybe you are ready to come on this exciting journey into the Bubble Of Possibility … So … What is the Bubble Of Possibility? What is the Bubble Of Possibility? The ‘Bubble’ is a safe space created in advance of any therapeutic or coaching work. Humour Worx change consultants, explain what can happen in this space, a space where the agent of change will and can do anything and everything to assist their client in making an honest and lasting change, from a problem space to something much more resourceful. So many research papers and books tell us of the positive effects of laughter. Apparently 20 minutes of laughter is equivalent to 20 minutes of physical activity, likened to an inner form of jogging. It may well act as a buffer against day to day stressful perceptions. However, laughter is not easy to come by in our mixed up fear driven world. Consequently Humour Worx sets out to challenge our sometimes negative mind-sets and self-limiting beliefs. “I thoroughly enjoyed Phil’s workshop. Apart from the actual content, which was fascinating, his slick delivery meant that the weekend flew by. He is a superb and extremely humorous presenter, who could give many comedians a run for their money! He brought the topic to life through a wide range of actual examples and life experience. Carol Barwick – Carol Barwick Associates Ltd. This workshop is all about therapeutic uses of humour and a Humour Worx approach to real change. An absolute must for therapists, coaches, trainers and all people helpers! Phil Jeremiah was one of Frank Farrelly’s ( Provocative Therapy ) earliest and brightest students. There are ONLY 10 places for this event. Make sure you get yours! Act Now and Book Your Place.